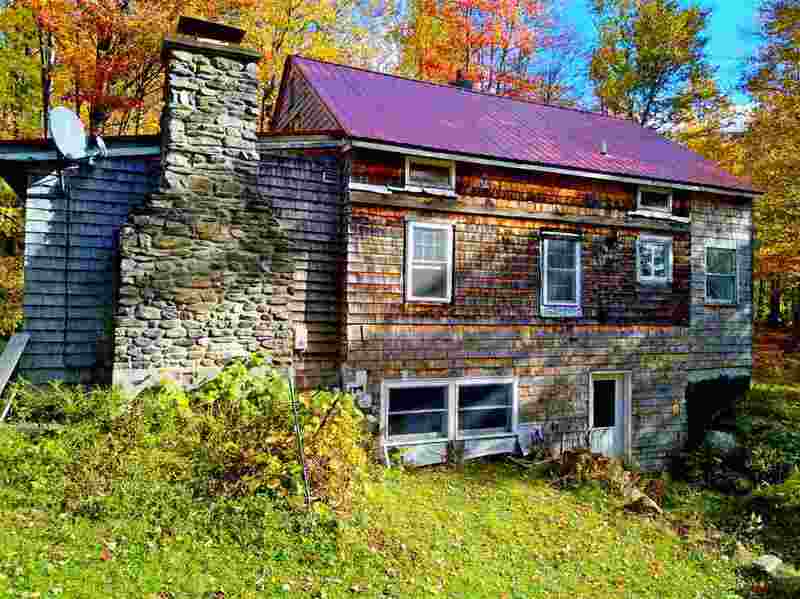 Here is an opportunity to own a solitary forest retreat with town amenities a short drive away. 10 Minutes to Bread Loaf and 25 minutes to Middlebury. It&apos;s the perfect opportunity to be immersed in fantastic natural beauty that is a comfortable distance from neighbors. The house has bright natural lighting, a spacious living room with a lovely fireplace and hearth as the focal point. The wood stove in the kitchen/dining area heats the house nicely and there is an oil furnace when no one is at home. The house is on the Green Mountain Power grid 100% of the time. The house is equipped with the very first Tesla power wall/battery system in Vermont. The Tesla battery is an alternative to a gas powered generator and is much quieter. It has two bedrooms and two offices but can accommodate four bedrooms as it has a recently installed four bedroom septic system. The yard is private and has lovely perennial gardens.